This is a local dessert dish made from maize flour in which milk, sugar, dried sultanas and cardamon powder are cooked together. The cooked paste is poured on a tray and coconut powder is sprinkled thereon and left to cool. This dessert is often cut into triangular shapes and can be bought from food vendors in the streets of Port Louis and also in market fairs around the island. 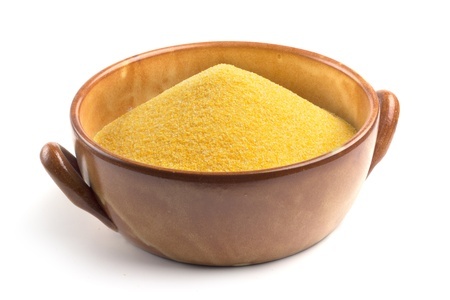 In parts of northern India and Pakistan ground corn flour is used to make thick slabs of bread which can be eaten with a wide variety of curry dishes or it can be coated in clarified butter or ghee and eaten with yogurt or lassie which is a yogurt based drink especially in summer.